Karen is the Editor & Publisher in Chief of the acclaimed, “Survival Quarterly Magazine.” Authors include the likes of David Wescott, owner of Rabbitstick and Mykel Hawke, from Discovery Channel’s One Man Army, as well as many other professionals in the industry. Published Author for many outdoor magazines. Karen has been featured on several Television Programs, such as Channel 4 news in Los Angeles, David Letterman, as well as Nickelodeon and others. 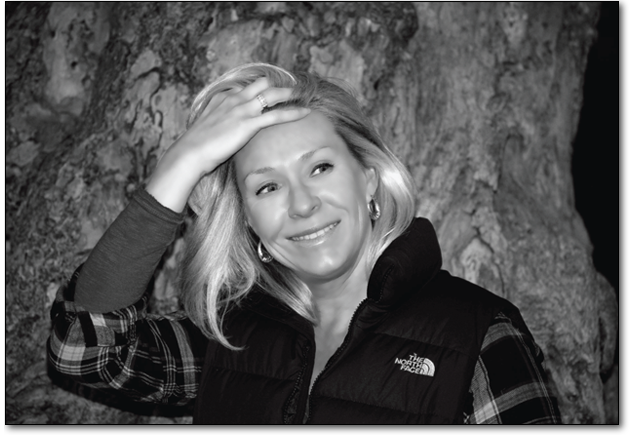 Karen is a 12 Telly Award Winning Videographer and On-Camera Talent and along with her late husband, is the Originator/Creator of the Acclaimed Woodsmaster, Cave Cooking and Urban Master Videos with over 30 titles available. Ron and Karen’s Award Winning DVD’s are widely considered to be the best wilderness training aids in the world with tens of thousands of military and civilian customers located around the globe. They have sold over 2 million copies of their DVD’s worldwide and their DVD’s can be seen in stores around the country such as Cabela’s, Bass-Pro Shops, K-Mart, Wal-Mart and about any other large outdoor retail store. Karen owns the Hoodlums Forum at www.hoodswoods.net – It boasts over 8,000 members and is always growing.